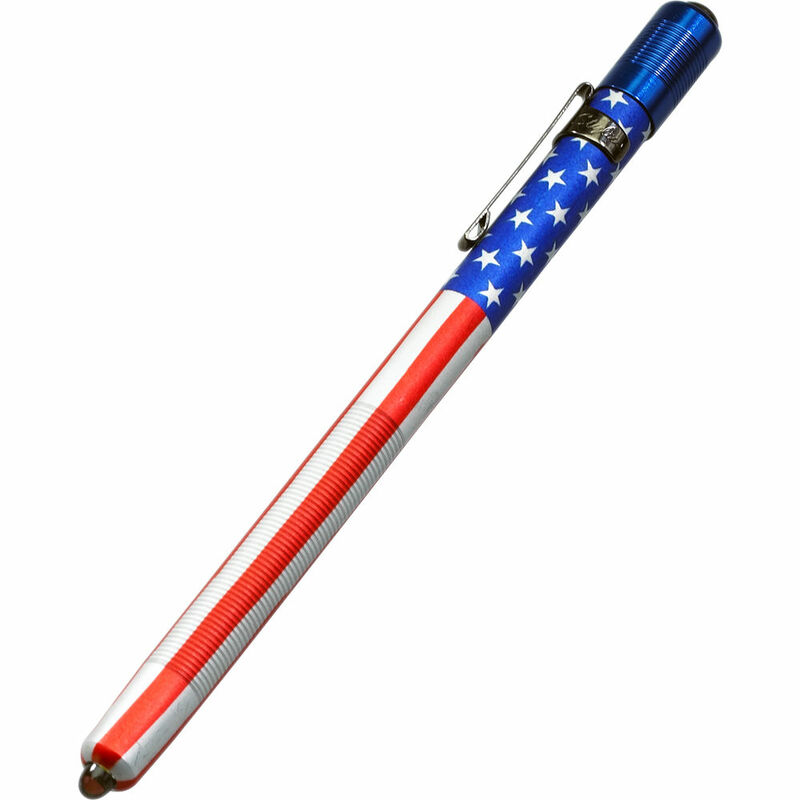 Classic pocket-light styling with an 11-lumen LED defines the Streamlight Stylus LED Penlight, offered here in an American flag graphic. The machined aluminum light employs a high-intensity emitter powered by three AAAA batteries. It comes with a removable pocket clip and a glare guard for comfortable use. Press the tailcap push-button switch for momentary operation or twist the tailcap for constant on. The Stylus carries an IPX4 water-resistance rating and is impact resistant to 6.6'.This item comes in clamshell packaging.